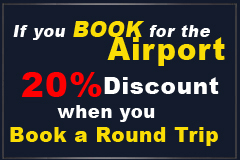 Whether you need a vehicle to get to LaGuardia, JFK or Newark, or perhaps you simply want a ride that will pick you up at the airport, nothing beats a practical yet elegant ride. NY Yankee Limo, with its array of stretch limos, Hummer, SUV and other flashy vehicles ensures that you will not only reach the airport on time but also in comfort and style. NY Yankee Limo’s management and its experienced chauffeurs will bring you to your destination in safely and definitely comfortably. The only thing you’ll have to do is to relax and enjoy our quality limousine service. One of the most crucial aspects of wedding planning is the bridal car and limousine service that will take the whole entourage to and from the wedding venue.NY Yankee Limo knows exactly how stressful this is and how much pressure is placed on your shoulders so to prevent this from happening on your special and supposedly memorable day, we offer you the ideal wedding package at a price that is so affordable. How could you have a memorable wedding if you don’t have a flashy, elegant limousine to match it right? NY Yankee Limo lessens this burden for you. With a wide fleet that offers classy cars that you can choose from and book ahead of time, you’ll be more than ready on your special day. No doubt that your s can be tagged as the wedding of the year. For years, our name has been established in the New York community as we are considered by many as the most flexible limousine rental service company. With our fleet of undeniably beautiful cars, we ensure everybody will find the right vehicle that matches his purpose of travel. When we serve our clients, we make sure that they are satisfied, comfortable and pleased at all times. Our priority is constantly geared towards client satisfaction so seeing and feeling the support of our loyal patrons make us feel so blessed. Our limo services are extended in different areas of New York like Manhattan, Brooklyn and Long Island. Whatever your reason is for wanting to avail a limousine service, we welcome you to the company that offers first-class limos and chauffeured transportation service. Whether you’re going to or coming from Newark, JFK or LaGuardia Airport, or simply want to arrive at your wedding or prom in sophistication,NY Yankee Limo will be more than happy to make arrangements for you!